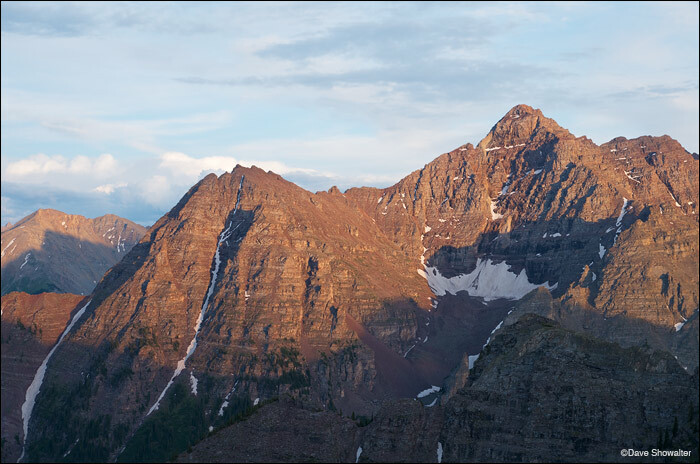 Pyramid Peak (14,018') glows in evening light in this view from Sievers Mountain. Pyramid is one of Colorado's most challenging fourteeners. Photo © copyright by Dave Showalter.